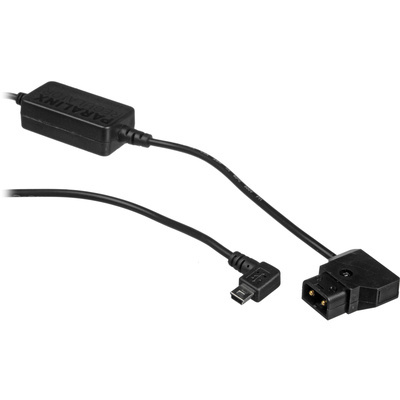 Product #18594 | SKU RG3 | 0.0 (no ratings yet) Thanks for your rating! The Paralinx D-Tap to USB Power Regulator for Paralinx Transmitters allows various Paralinx wireless video devices, such as the transmitter for the Paralinx Arrow, to be powered from professional battery systems. It features a 21" cable with a standard 2-pin D-Tap input and a right angle mini-USB output. A built-in voltage regulator will accept sources between 8 and 24 VDC and steps them down to a 5 VDC, 2 A output.